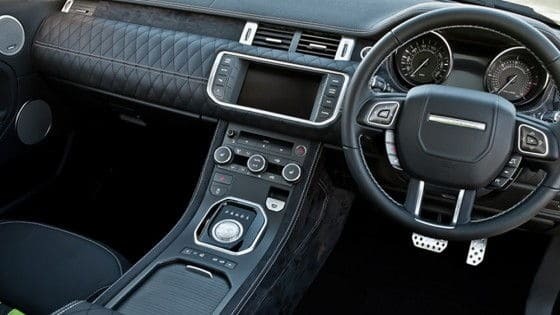 Kahn Design has built quite the portfolio over the years with tuned luxury vehicles as well as superfast exotic sports cars. Some people like to modify their vehicles in a subtle yet classy manner while others like their ride to stick out like a sore thumb. 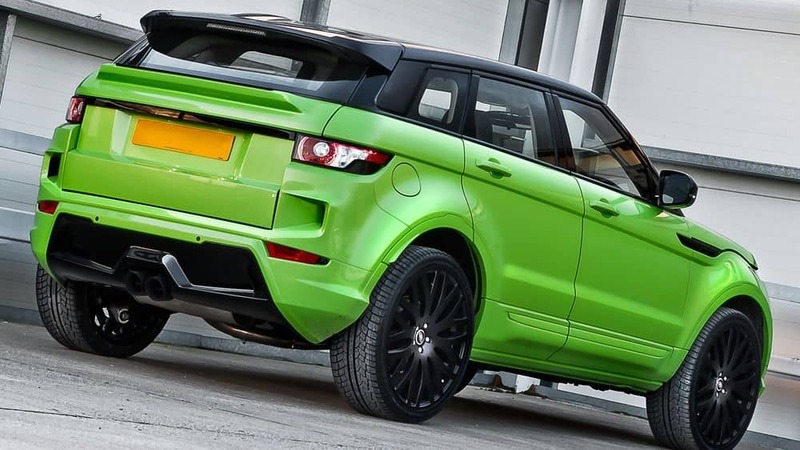 If you like a bit of class and a whole lot of “hey, look at me” then the lime green Range Rover Evoque RS250 by Kahn Design is the ride for you. 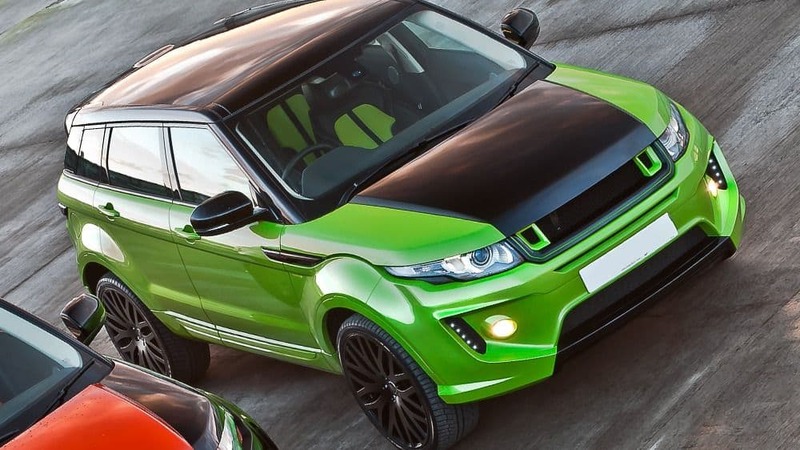 The Range Rover Evoque Rs250 features a Lamborghini Green Pearl paintjob which would normally be way too much for a vehicle like the Evoque but roof and hood of the vehicle are finished in black giving it a nice contrast and more elegant look. 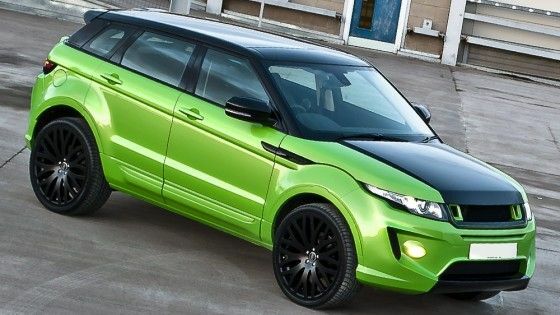 Besides the eye popping paint job, the Evoque receives an aerodynamics kits with new bumpers, side skirts, wheel arch extensions, spoiler, and a new front grille. 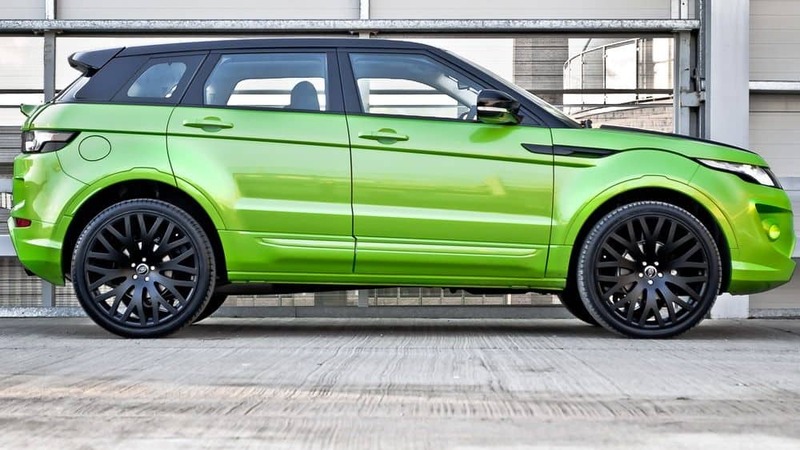 The Evoque RS250 also now rides on Kahn Design 22-inch RS-XF alloy wheels and performance tires. 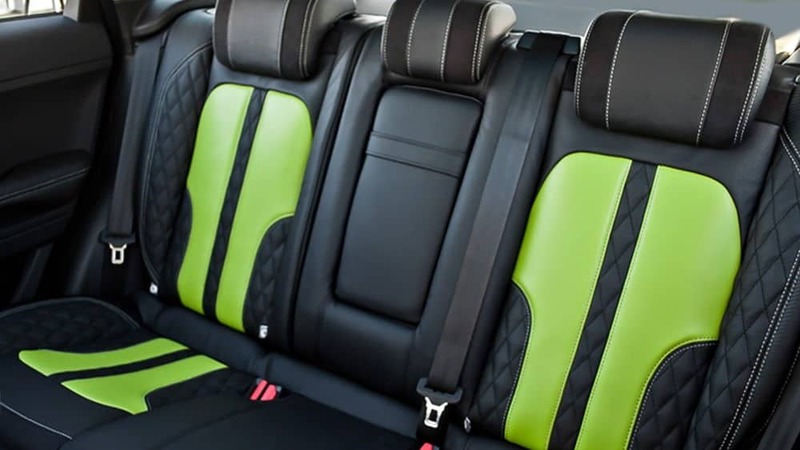 On the interior of the Evoque, the lime green and black theme continues. 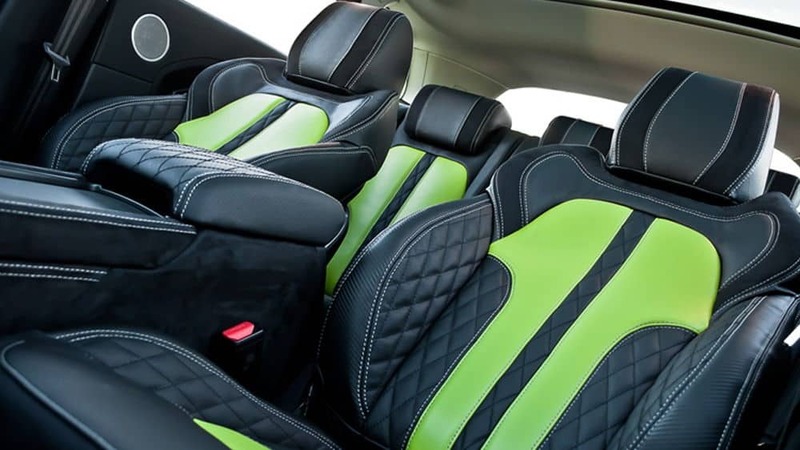 The crossover features black leather seats with green leather accents while the dashboard/center console also receives the black and green treatment in minimal doses. 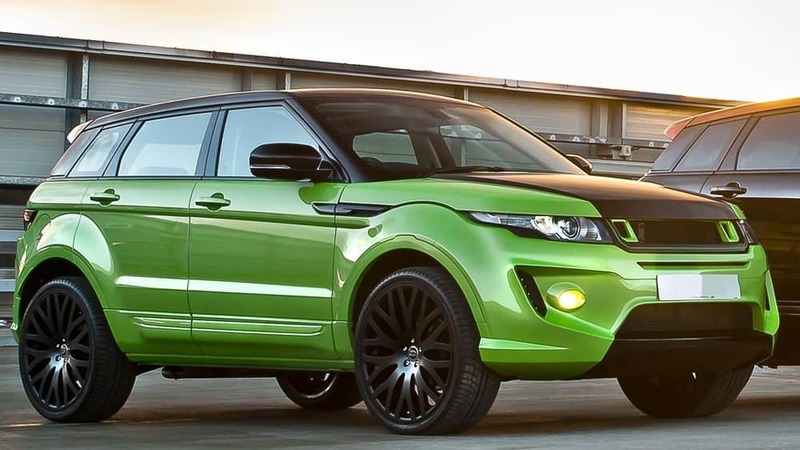 Pricing for the Kahn Design Range Rover Evoques start at $72,395 and the one seen here is priced at $86,915 USD. Utterly ghastly paint job! 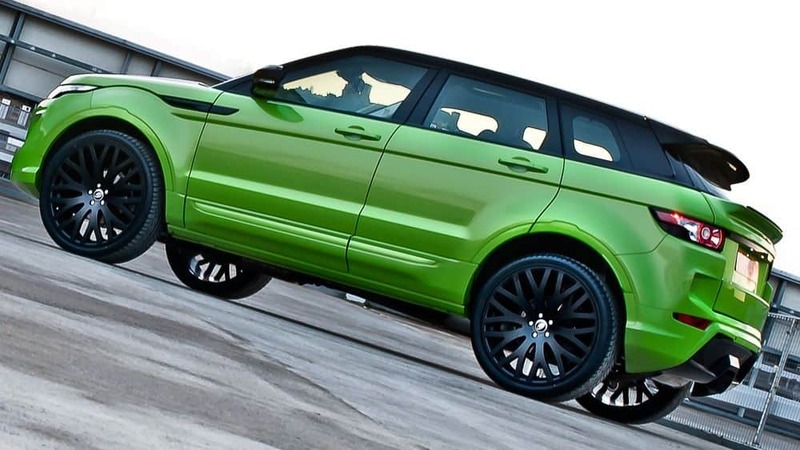 Ugly vehicle likely to be purchased by overpaid sports stars and merchant bankers.